Gloucester fly-half Danny Cipriani has been left out of England's 36-man squad for their training camp in Bristol, which begins on Sunday. Cipriani was charged with common assault and resisting arrest in Jersey last month. The 30-year-old was fined £2,000 at Jersey Magistrates' Court and a further £2,000 by his club. 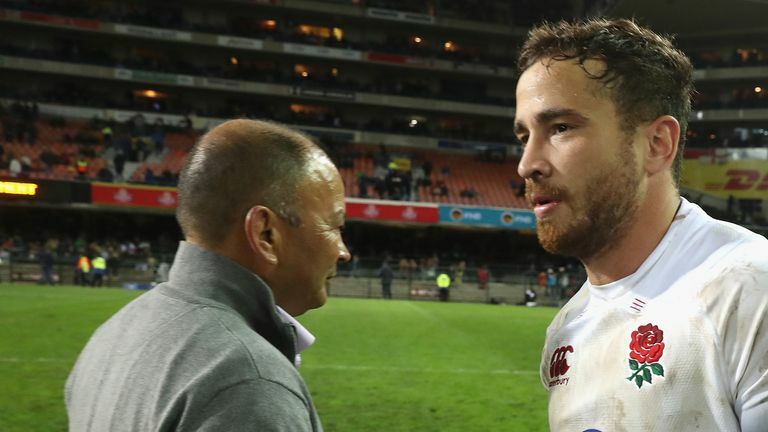 Head coach Eddie Jones said earlier this month he would remain in contention for selection for the November internationals but he has overlooked him for the three-day training camp, despite Cipriani's impressive form for Gloucester. Speaking to Sky Sports, Jones said: "He knows what he has to do to get into the squad and I'm sure he'll attend to those issues." He added: "We feel there's areas of the game he needs to work on." Sale Sharks winger Chris Ashton is included despite being currently banned for a tip tackle in a pre-season friendly against Castres. The 31-year-old is suspended for the opening six rounds of the Gallagher Premiership and will not be eligible to return until October 9. Leicester Tigers' centre Manu Tuilagi, who last played for England during the 2016 Six Nations, is named in the training squad for the first time in over a year. Uncapped wing duo Nathan Earle (Harlequins) and Joe Cokanasiga (Bath) are also called up. Earlier this week, John Mitchell was confirmed as England's new defence coach until the end of the Rugby World Cup 2019 and head coach Jones sees this training camp as a valuable opportunity for him to begin implementing his defensive system. Jones said: "The training camp in Bristol is our last opportunity to get the squad together before the Quilter Internationals so it is vital we put down some parameters, particularly with John Mitchell coming in as defence coach. "We'll implement a slightly different defence philosophy building on the great work Paul Gustard has done to keep advancing our defence. It's a great opportunity for the players to work with John and for the team to keep evolving. "It’s a great opportunity for the players to work with John [Mitchell] and for the team to keep evolving." "It's a chance to get the players thinking about England and the way we want to play for England and the way we want to beat South Africa. These players have the opportunity to press their chances for selection ahead of the first Test so they will have to be enthusiastic and ready to give their best." Ahead of the Quilter Internationals in November, an England squad will be named on October 18 before they fly to Portugal on October 24 to begin their final preparations for the four-Test series.